Dubai Properties, a leading Dubai-based real estate master developer of renowned destinations across the emirate, will showcase an impressive realty portfolio at Cityscape Global 2017, exhibiting alongside other Dubai Holding companies including Dubai Design District. The premier property exhibition, Cityscape Global will run from September 11 to 13 at the Dubai World Trade Centre. Over the years, Cityscape Global has gained tremendous traction, becoming the world’s largest real estate investment and development event for emerging markets. In addition, the master developer known for shaping renowned destinations across the emirate, will reveal two new residential projects – launching the first of the four Marasi towers located at the Dubai Water Canal and a new phase of Villanova, with Amaranta townhouses, as part of its next development within Dubailand. The launches of Marasi Riverside, a waterfront tower and the new phase of Villanova are testimony to the breadth and depth of Dubai Properties’ portfolio and the varied market segments it serves. 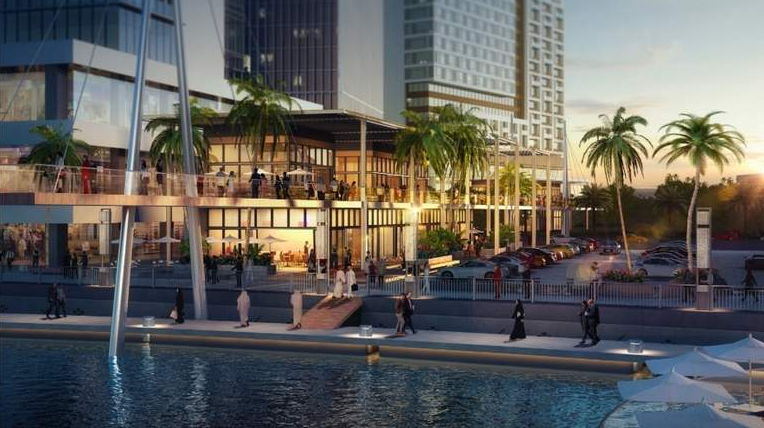 Adding an iconic high-rise to the current setting of Business Bay will further aid the transformation of this commercial and residential district into Dubai’s first urban lifestyle destination along the Dubai Water Canal. Three significant projects that are already contributing to the new look Business Bay include Bay Avenue, Bay Square and Marasi Business Bay.